In Spanish graphic design studio Tata & Friends’ new project "Rock Band Icons," rock-n-roll meets Pictionary. 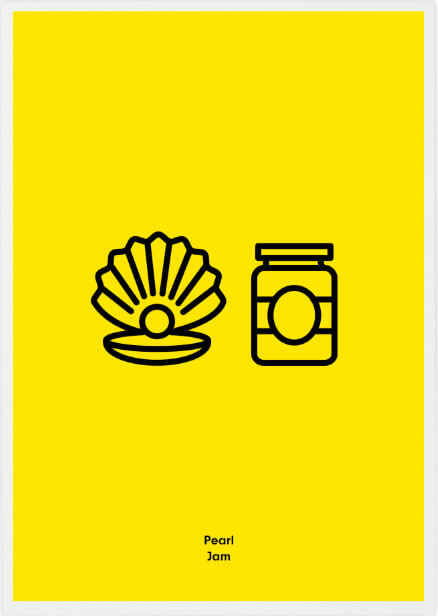 Each of these quirky posters depicts the name of a legendary band using only the most basic symbolism. The studio opted for a black and bright yellow color scheme that gives these illustrations a stark and bold aesthetic. By using such basic imagery as a stand-in for iconic artists such as Pearl Jam and Guns & Roses, the designers were able to add an element of mystery to these household names. Can you guess them all?